Don King sure has to be glad that Twitter wasn’t around back in the day when he was promoting fights. Twitter could handle all of the “stirring up the pot” without a Don King. In today’s showdown, we have Darrelle Revis vs. Richard Sherman of the Seattle Seahawks. @Revis24 don't need ya name… Ur name will be irrelevant once u step back on the field bruh. Get ya picks up! @rsherman_25 child please, lol!!! Your still taking baby steps son. Don't get to a head of yourself. Lights out Super Bowl! Ravens make final stand to beat Niners for NFL title – Yahoo! Sports. Well another football season has come and gone. Now begins a somewhat slow sports news cycle until March Madness begins. To follow the lead of St. Louis Post Dispatch writer Bernie Miklasz who does his random “Bernie Bytes”, I am going to go the same thing that I will give my initial thoughts, and revisit these ideas throughout the week. Shannon Sharpe picked the 49ers to beat the Ravens during the pre-game show. I just couldn’t believe that he would pick against them. The McDonald’s commercial with the player being presented with his All-American jersey that aired before the game had a neat message behind it. The kid finding out in the way he did that he was a “McDonald’s All-American” the way he did was a really cool and touching message. That part was really cool. Channeling my best Billy Madison I will just say the part I didn’t like is when the coach had his players eat McDonald’s. If you are a high school basketball coach the last thing that you want is for your players to be eating that garbage. I love that McDonald’s honors these players, but please, don’t ever take try to credit the “food” you serve as any type of benefit to them making it to where they are. I put 25 on the Ravens. Since they were the underdog, the odds weren’t in my favor, but it also paid more. I won 63 on that game alone. I correctly picked the coin flip (heads), the first play of the game (pass), and the over 47 1/2 points. I missed out on the over 1 1/2 interceptions in the game. I still have one pending waiting on USA Today’s final ratings meter on the best Super Bow Commercial. Being a homer I predicted the best commercial would come from AB. The first 49er Quarterback to ever throw an interception in the Super Bowl was Colin Kapernick. How crazy of a stat is that! Wizard of Oz The commercial for the new version of the Wizard of Oz has me fired up. I loved the original movie, it aired once a year on CBS and we watched it every year. I cannot wait to see the modern version. The Fake was the ultimate WTF moment of the Super Bowl. There has to be some sort of back story to why John tried that there. It could have cost him severely. I missed “The Return”, as I was cleaning things up and getting the game back on. I personally hate when the returner return any kick in the end zone but this was what a real kick returner can do. Lightning flash. Power outage during the Super Bowl? Congrats New Orleans for shanking the basics. No excuse for this happening during the Super Bowl. John Harbaugh was hot following the delay. I cannot wait to hear what he was so upset about. The discussion was very animated. That was the only time in the game that he lost his cool. With the lights going out in New Orleans, can the NFL top itself next year and have a blizzard in New York? NFL=WWE… it is amazing sometimes how you can just read how a football game is going to go the same way we used to be able to pick up on how the WWE matches would go. It’s beginning to get eerie. The handshake between the Harbaugh’s was great. All in all, it had to have been a great night for John grabbing bragging rights over his little brother. Ray Lewis had all of his post game talks planned. He knew exactly what he was going to say and how he would say it. Twitter was wildly entertaining to follow during the Super Bowl. Live-tweeting: Smart way to relive classics – Sports Business News, Analysis – Dollars Blog – ESPN Playbook – ESPN. Very interesting idea from ESPN’s Darren Rovell. I was watching the classic Kobe game yesterday while I was on Twitter. I loved the fact that Kobe was also watching the game and commenting on it as it was being shown. It did make it much more interesting knowing Kobe’s thoughts about the game as I was watching. I would love to see this done more often. Friend says Ronaiah Tuiasosopo confessed to Manti Te’o girlfriend hoax – ESPN. This story on ESPN.com now claims Ronaiah Tuiasosopo is taking full responsibility for this hoax. Is it the truth? A smokescreen? Is this guy jumping on the sword for Te’o? Nobody really knows yet. …..Although, as we've now learned, they never met one another. ……Despite the fact that he's a student-athlete, with classes and football practice and supposedly in no position to afford such bills. What he conveyed. It's JUST MY OPINION, but I don't see how he was totally hoodwinked over the course of 3 years. Not buying it! I normally don’t agree with Stephen A. Smith but I think he has a great point here. This is the best news that I have seen all week. Yogisms are awesome! 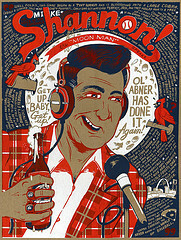 Now we just need Cardinals broadcaster Mike Shannon up next in the twitter world. BREAKING NEWS: Due to popular demand and @jackcurryyes, Yogi will be tweeting through this account on occasion. Stay tuned. Could be fun, but I dunno. No one uses Twitter anymore. It’s too popular.